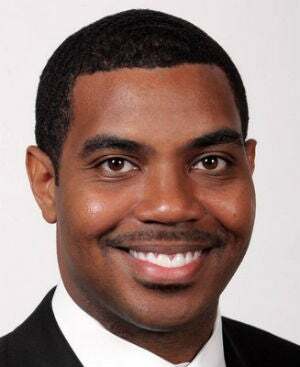 (The Root) — African-American Democratic candidate for Congress Steven Horsford — who is the state's first black majority leader — and opponent Danny Tarkanian have been in a racially charged race in which the attempts of Horsford's political foes to discredit his blackness seem more absurd all the time. Here's some background. In August, Tarkanian (white) proclaimed that his ties to basketball clinics would help him win the black vote. Responding to the backlash after those remarks, he said at a GOP gathering, "We could be like Steven Horsford, who's not doing anything with that community and, you know, pretend we're black and maybe try to get some votes if that's where it is." "Steven Horsford continues to play the race card (he's black) with this mindless, irrelevant re-tweet of a White House tweet on Saturday," Muth wrote on his blog of Horsford's tweet about the Emancipation Proclamation. "Sounds like somebody's scared by last week's poll showing him losing the urban vote to his white-bread Republican opponent, Danny Tarkanian." Then Muth seemed to attempt to tie a recent Horsford ad to the basketball-for-political-gain controversy of last month, writing, "Horsford's TV commercial features two black kids playing — wait for it — BASKETBALL! You cannot make this stuff up, folks." Well, Horsford didn't make it up. The "black kids" in the ad were — wait for it — his very own children, not some actors designed to send a subliminal message about identity politics. "This shot was of me playing with my children in our backyard," Horsford said in a written statement. "And to refer to my kids as just some 'black kids playing basketball' is extremely offensive." Tarkanian's spokesman Ron Futrell distanced the Republican candidate from Muth's blog post, saying, "I would say that Danny does not see the commercial that way," Futrell said. "[Horsford] needs to deal with Chuck Muth on that. In the past, Muth has attacked Danny pretty hard, so we know how that feels." Editor's note: The original piece misstated Horsford's state as Arizona. He is from Nevada.